I'm vegetarian, so I don't often review meat, but when my partner fancies it, I'll accept on his behalf. Mor Sausages did interest him because they promise more than your average sausage, and he was very keen to try them. 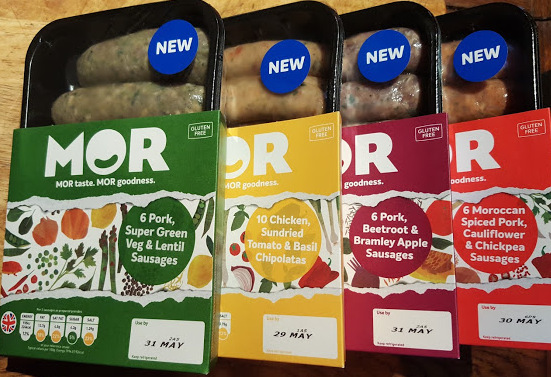 Mor have 4 varieties of sausage, each with some more surprising ingredients such as beetroot, chickpeas and super green veg. 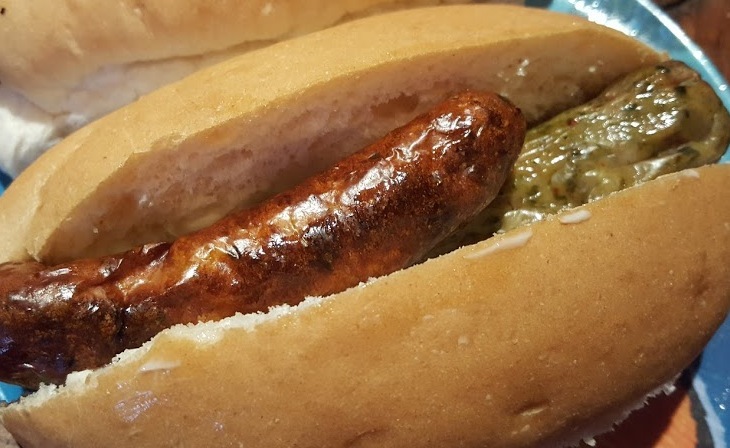 They are gluten-free and much lower in fat than regular sausages, with pulses such as rice or lentils, plus herbs and spices inspired by foods from around the world. My partner is keen on chickpeas and cauliflower, but hates coriander leaf with a passion. However he didn't mention it, so it's clearly seeds or just nicely subtle. The Harissa gives a gentle kick which my 8 year old was very proud he enjoyed. These sausages had a gentle sweetness that was very popular here. They include beetroot and nutty brown rice along with sweet apple, my partner described these as very fulfilling. A real comfort food. 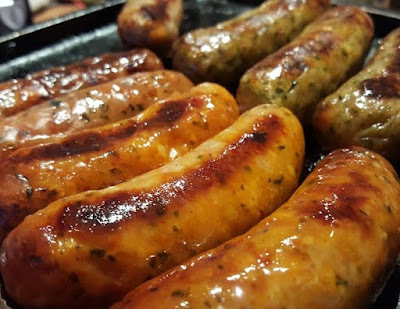 Chicken sausage is popular with my younger children and my 8 year old liked these best. They aren't bland and boring like your usual chicken sausage, they have the tang and Italian feel to them. These aren't 'kid's sausages'. Perfect for adding to any pasta dish (hot or cold) and on pizza (always cook following the instructions before slicing and adding to your pizza). The overall favourite here. The green veg adds depth and the lentils have a warm peppery taste. 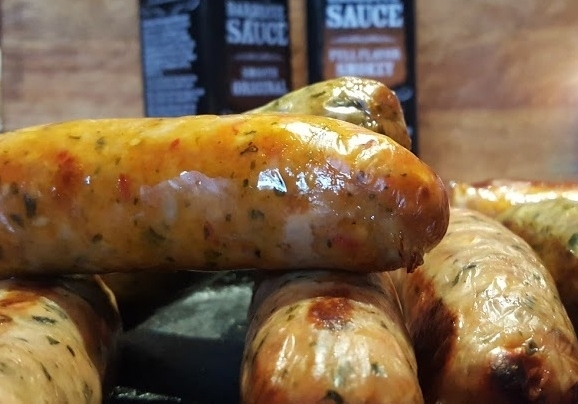 There's a hint of sweet chilli to complement the sausage's flavours. My partner adored these. Definitely the first one we'll be buying again.They sound like they'll be excellent in a Toad-In-The-Hole. 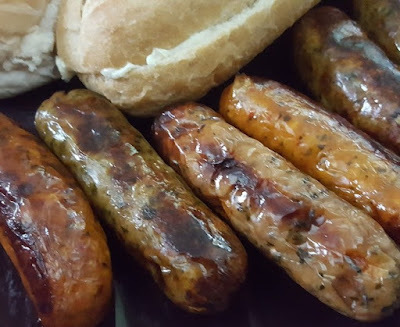 My household's opinion is that Mor Sausages DO have more - they're full of texture (but not lumps) and the flavours make each one a dish in itself, rather than an ingredient. They cooked nicely without shedding lots of fat, exploding or drying out and were all eaten in record time. 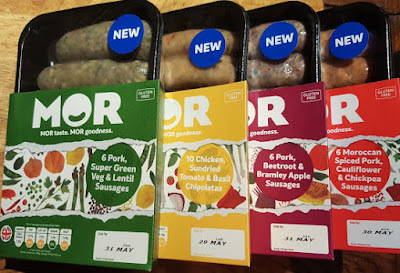 Mor Sausages are available now in Tesco. Each pack of 6 sausages (400g) has an RRP of £3.00. You can find out more on the Mor Sausages website. 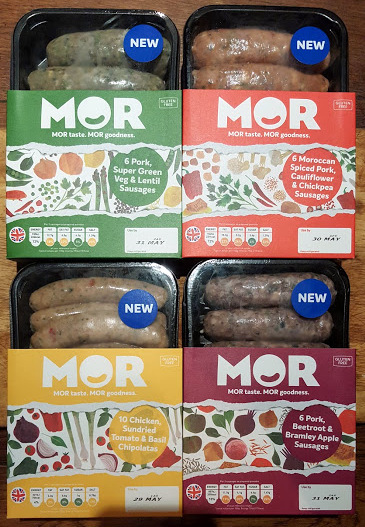 We were sent our Mor sausages in order to review.